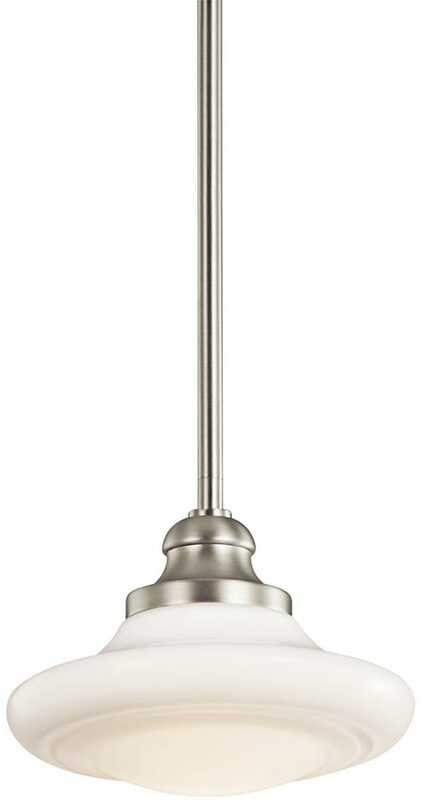 The Keller small 1 light dual mount pendant in brushed nickel, part of an understated kitchen pendant lighting range featuring an opal glass mushroom shade and adjustable height rods. Supplied by Elstead Lighting and designed by Kichler. Superb quality 20cm diameter kitchen pendant light, suspended from a circular brushed nickel finish ceiling mount by a height adjustable rods. 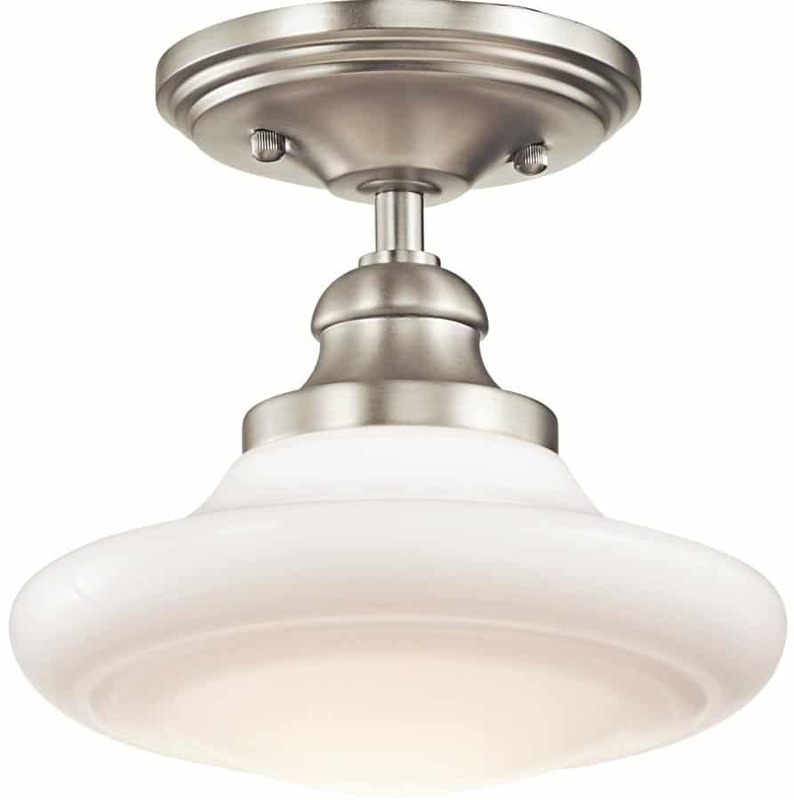 The opal glass mushroom shade is attached by a brushed nickel upper shade holder and will give a soft diffused light. The soft curves and cased opal glass detailing of the Keller collection will add a tasteful, understated accent to any space in your home. 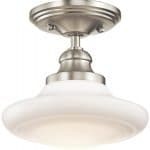 All pendants in the Keller range can be converted to semi-flush, please see secondary image. Supplied with two 15cm and two 30cm rods that can be used in any combination to suit your desired drop. Please see the technical information below for minimum and maximum heights. The perfect companion in any modern or retro environment and ideal for installation in a kitchen either singly or in multiples over a breakfast bar, kitchen island or dining area. perfect for use with an energy saving spiral or LED lamp.